One especially worthwhile perk of investing energy in gardening is the freebies which sometimes reward you the next season. This can happen without much effort on your part thanks to seeds of certain flowers dispersing and finding their way into the soil. 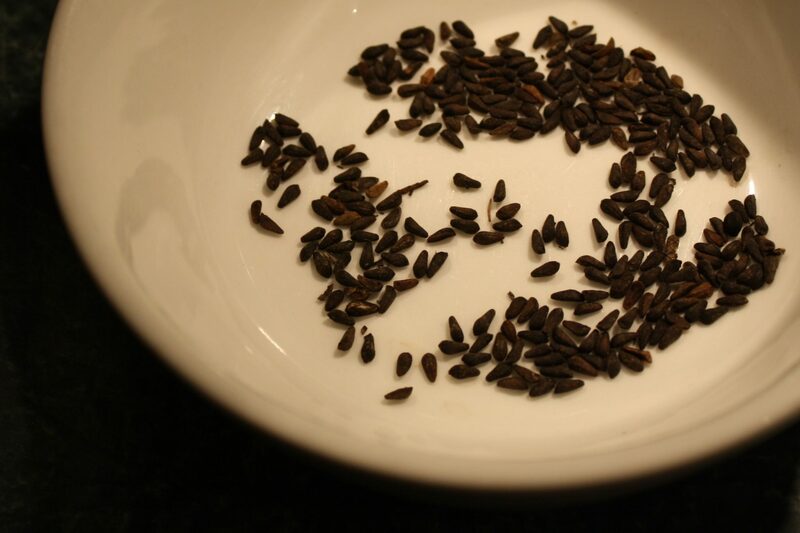 But did you know you can also make a conscious effort to save seeds as they’re ready to be harvested? While you can do this with a lot of plants, some have seeds which are more finicky or giving than others. You can search online to find seed-saving tips and feasibility with any plant you want to consider. 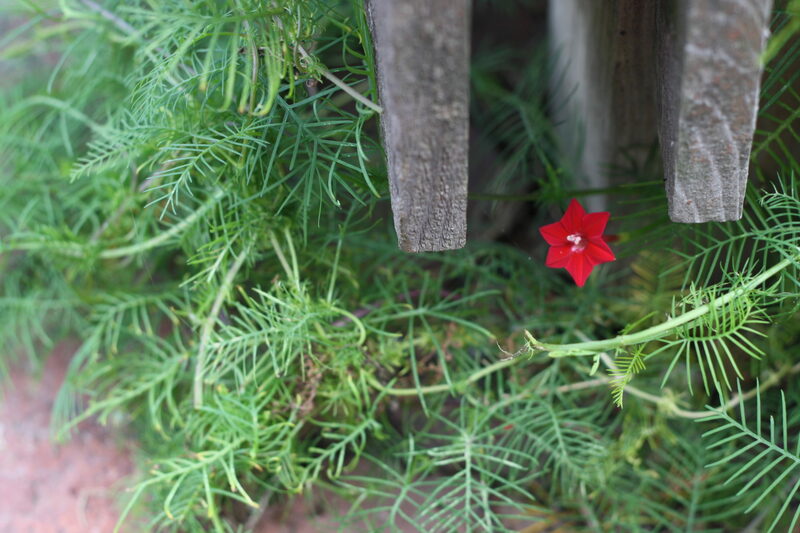 But two in particular are easy takers in the giving game: annual flowers known as Portulaca and Cypress Vine. 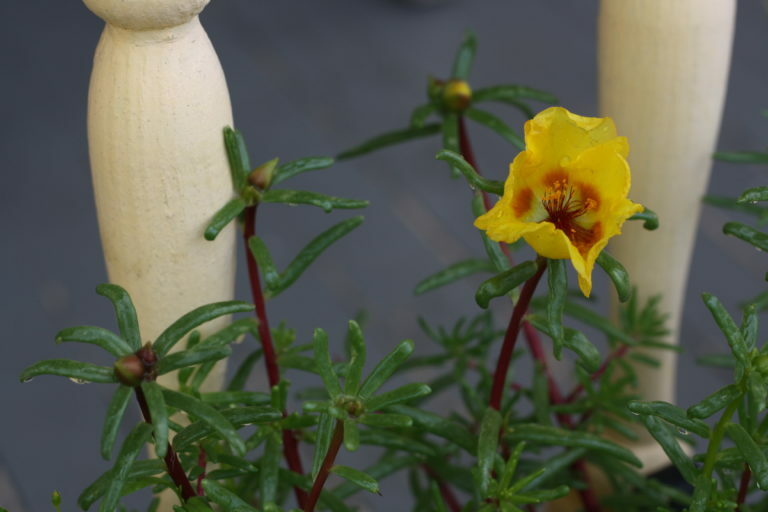 Portulaca, a succulent which often bursts into vibrant colors, depending on the kind of market pack or flat you buy from Wolff’s Apple House in springtime, needs hardly any effort to spread. With most annual flowers, you can tell when they’re ready to harvest because if they have seedpods, they start to dry out and fall off. Seeds from Portulaca are tiny little blackish-grey dots that look like stilled bugs. Or perhaps specks of pepper. 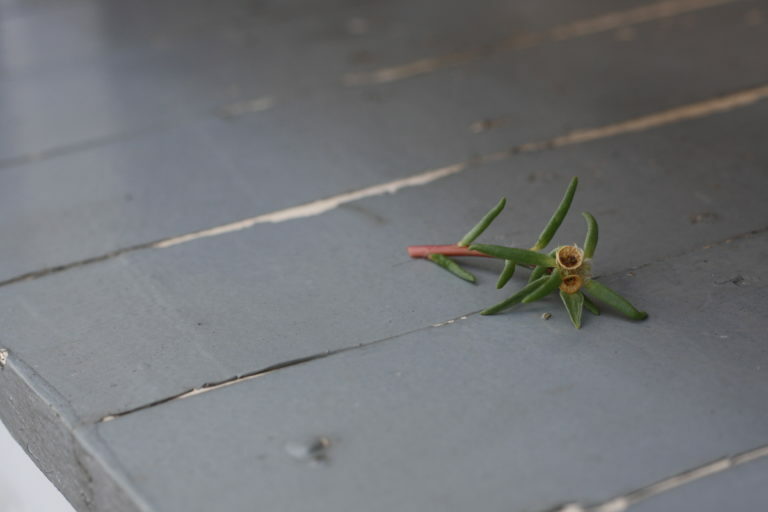 Below are some browning seedpods and these teensy Portulaca seeds. You can pull off the seedpods, rubbing them back and forth lightly between your thumb and the tip of your pointer and middle fingers to nudge the seeds on out into a small baggie or another container. If the seedpods aren’t ready, they won’t come out as easily, so you might need to wait until they’re drier and ready to loosen from the pods. An emptied pod is below. 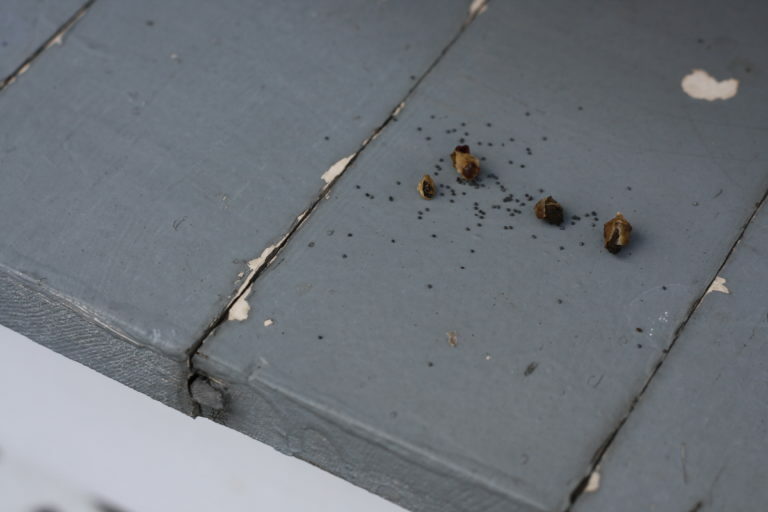 Fully drying the seeds for a week or two, spread across a paper towel or newspaper, may be a good idea, but these seeds are so tiny that they might not need the extra time to lose moisture, especially if they weren’t wet when you gathered them. Since these are very independent little go-getters, saving them isn’t necessarily needed. You could either let the plants go and lose seeds to the wind on their own, or you could tousle the plants to shake out some seeds in the soil where they are. With a lot of seed-saving, producing new plants from the seeds can be hit or miss. 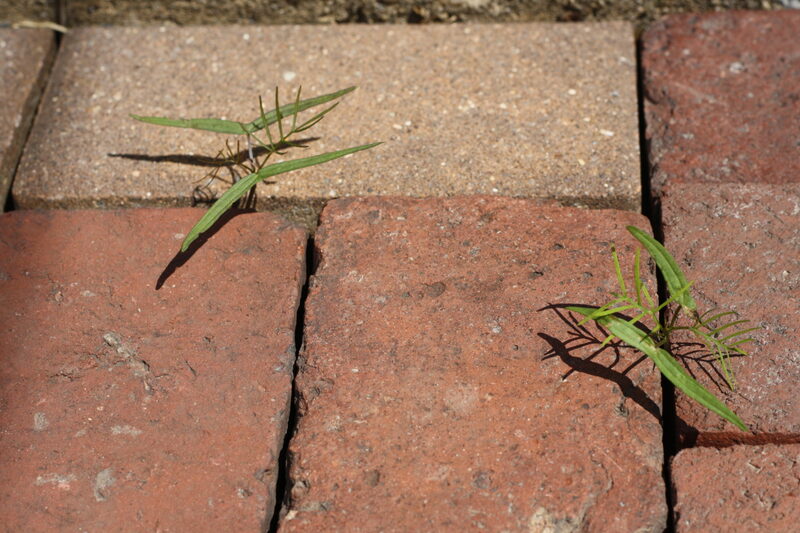 Yet Portulaca still seems to be a bit more forgiving and resilient than some. In fact, it can get a little too ambitious, but some people like that because the flowers and foliage are so charming. 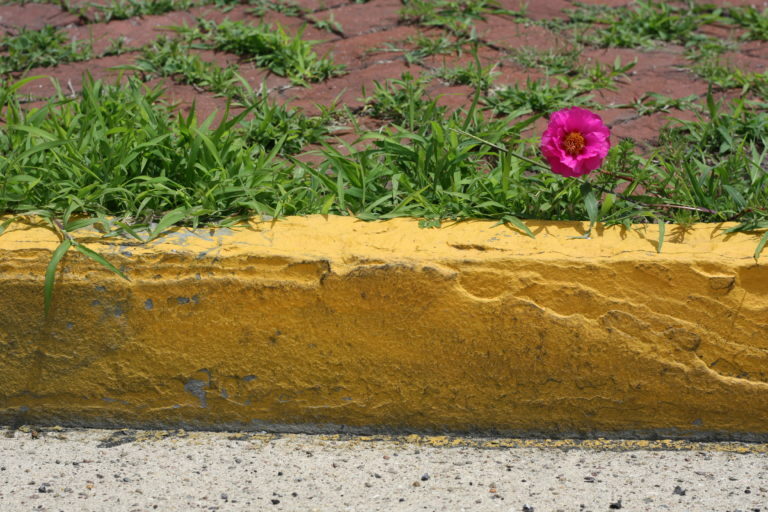 Below is a pink-blooming Portulaca which seeded in this weedy brick sidewalk in need of attention. However, if you don’t like where it’s popping up, you can pull it out. Digging it up to transplant and water very well during rainy weather is also a way to make it grow where you want and in concentrated numbers, more within your control. 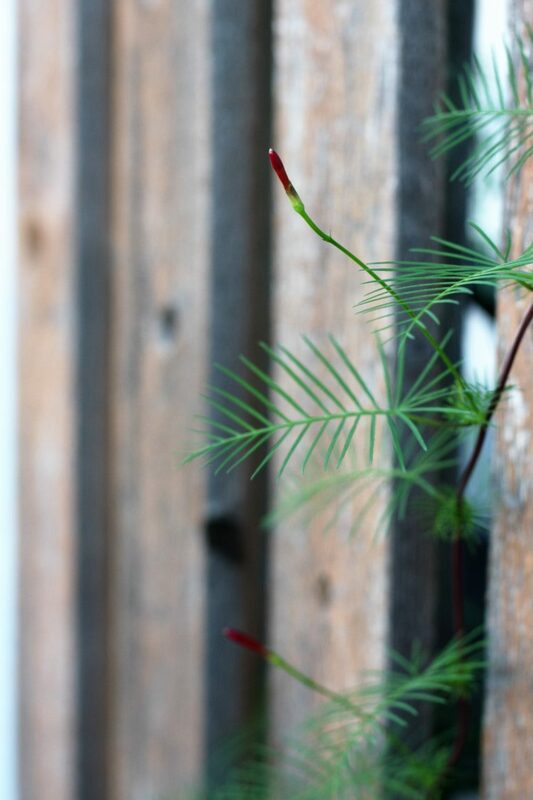 Another annual which tends to re-seed through partnering with the wind or through gardeners saving seeds to plant in late May is Cypress Vine, which is related to Cardinal Vine. And sometimes they’re both generically called Cardinal Vine. They’re in the Morning Glory family but are not quite as difficult as those tenacious annuals. The vine’s leaves are feathery, and its flowers commonly pop out in dark reddish pink star shapes. They usually close up at night and look like miniature lipsticks à la the sea witch, Ursula, from The Little Mermaid. 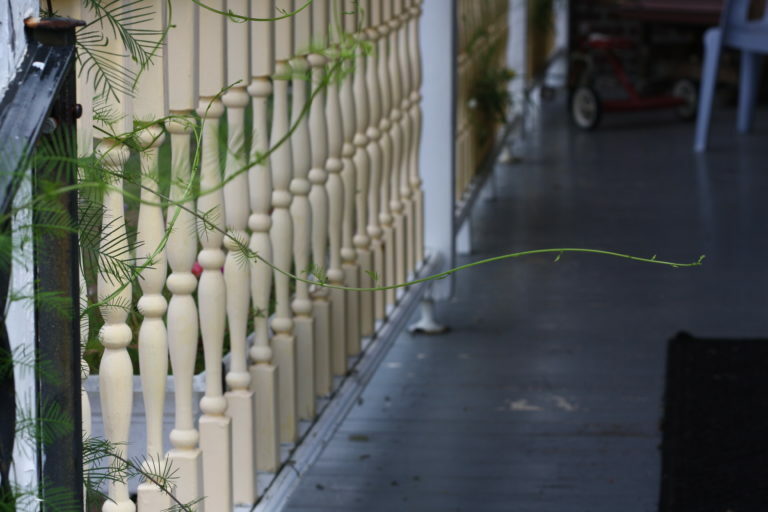 It will sometimes creep in places where you don’t want it to, so you may need to reroute it up a trellis, porch rail, or another place where it won’t be stepped on and destroyed. How quickly it spins its way around anything near it is almost hard to believe. You can also use old sticks or stems, propped up in soil, to help train the vine to reach skyward and out of the way of footfalls. And comically enough, this vine’s seeds take on the appearance of mouse droppings. So as with any seeds you save, but even more importantly here, it’s a good idea to clearly write the name of them on whatever container you’re using to house them until you’re ready for them. 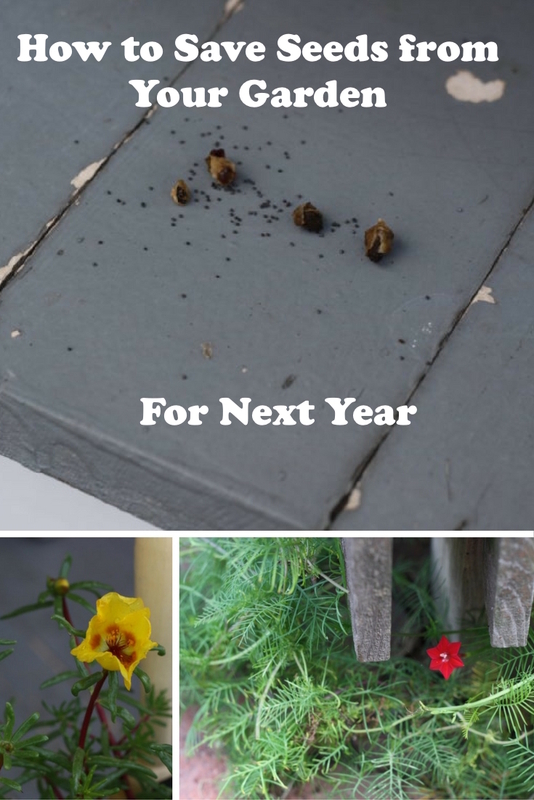 Later into autumn, you may notice these seeds falling below the plant, and then they’re easy to pick up and throw into your garden or dry out to store and give away to friends and family. Eventually, you may glimpse these delicate vines stretching upward from small crevices like in between bricks, more and more after you’ve had them on your property for a few years. They can also be transplanted into the areas where you want them. Be sure to pull up as much attached soil as possible with the roots, and then water the flowers them well. Like many plants, they may stress out badly, but if you do the transplanting during cooler weather and water them heavily, they may bounce back for you. There are a lot of online resources about saving seeds from different types of plants. Search for tips specific to the ones you want to harvest, and research across a few different sources to make sure you’re getting well-rounded information. Enjoy the prolific nature of these endeavors! ← Yogurt, Granola & Fruit, Oh My!